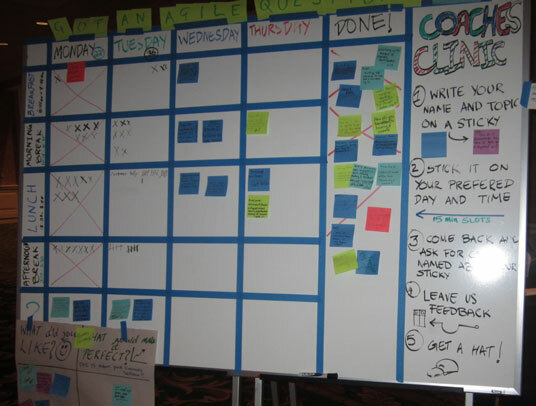 For the most part, attendees at last month’s Agile2013 Nashville conference downplayed their title. Programmers, managers, DevOps and testers instead described themselves as “agilists” there to share the experience. 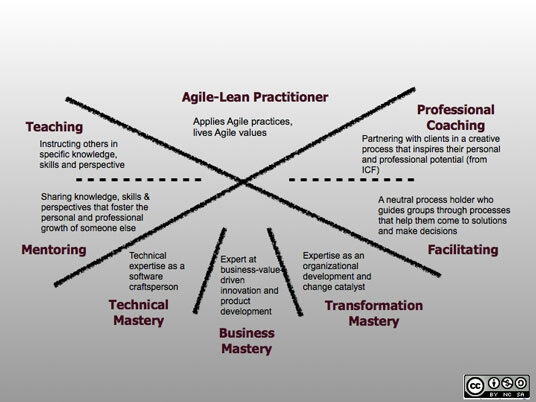 However, there was one group that stuck out, one group that didn’t exist 10 years ago: The agile coaches. The role is new, and hard to define. One attendee describes himself as someone who “used to be a programmer” but is now a coach. I ask what he’s been doing, in an effort to define agile coach by example. His company won a contract to convert a large company to scrum and was putting employees through three days of the Certified ScrumMaster course — but he wasn’t a trainer. What do you do?” I ask. That’s right. Pressured to describe his role, his one example was the thing he claimed he wasn’t doing lately. Where Does an Agile Coach Come From? The responsibility Beck gives the coach probably mimics what the attendee I spoke to actually does on his project — partnering with developers (especially junior ones) to figure out development tasks and helping programmers develop technical skills such as unit testing and refactoring, all while serving as a translator to explain the process to upper-level management. This defines at least two different roles for the coach: technical mentor and change agent. At this point, I’m skeptical. Instead of a single, undefined thing, we now have a big bucket of things that look impressive on the surface. But is there depth? The author of the framework are Lyssa Adkins and Michael Spayd. Both are principles at the Agile Coaching Institute, while Adkins is the author of Coaching Agile Teams. At the beginning of the agile movement, Spayd explains, the people picking up extreme programing and scrum were early adopters. At the beginning, teaching and mentoring the left-hand side of Everett Rogers’ technology adoption lifecycle model works just fine. Get to the middle of the graph, the early and late majority, and resistance occurs, he says. Adkins points to the bottom third of the framework — technical, business and transformation Mastery — and says “it’s really hard to be extremely good at two elements” and “impossible” to be an expert at all three. “We tell people to pick one,” she says. That allows two things to happen: First, instead of looking for a “coach” in general, an organization can instead figure out what kind of coaching it needs — teaching, mentoring, conflict resolution and so on — then find a coach who can self-assess to a skill set to meet that need. Second, it admits that not every coach will have every skill, which encourages more paired-coaching assignments. The Agile Adoptions that I have seen “stick” tend to correlate to pairs of coaches — one technical, one more focused on organizational change. Skepticism abated, I move from theory to practice and look for a story of agile coaching in action. While the official “ask,” as it’s called, was learning estimation, what the team actually needed to do was a whole lot of figuring out what to build. Early into the meeting, Mertsch realizes this difference, which she describes as “a knot in the stomach.” Instead of continuing to teach on estimates, Mertsch suggests the product owners come up with action items for the next spring only &mash; that is, a handful of directly actionable ideas. The group dispersed and reassembled later that day, working through a small number of reasonably well-defined tasks. Mertsch didn’t teach about estimation that day, as other coaching was needed. Going back to the model, Mertsch needs to know which skills she needed at a point in time, despite the official “ask”, and needs to be able to quickly shift from teacher mode to facilitator and back, according to various kinds of expertise. That’s the top and bottom of the model. As it’s not possible to be an expert in every area, she also needs enough self-awareness to know when to bring in help. Pinning agile coaching down to a precise definition might not be possible, but at least this gives us the tools to talk about it. I may have been too hard on the old friend I introduced at the beginning of the story. His expertise is coding, so when he went to a client with its own private programming language, he contributed where it made sense: Helping build a harness for unit tests, then pairing to help the programmers write testable code. He wasn’t wrong; he was subconsciously using the secret sauce of a good coach, which is to know what’s needed and how to apply it. He just didn’t know how to put into words what he was doing. Mertsch’s story, where the initial ask was for planning but wasn’t what the client needed, illustrates that well. Analysis: Who Says Agile Development Can’t Be Faster? The ACI defines that as the ability to facilitate, catalyze and sometimes lead organizational change. This draws on change management, organizational culture, organizational development, systems thinking and other behavior sciences. To the extent that middle managers are responsible for growing employees, Adkins adds, they are all coaches. So what does organizational transformation mean, exactly? Perhaps that’s something to talk about next time.